There's still time for you to be part of this project and contribute to this great book! LONDON - Feb. 19, 2017 - PRLog -- Publishing house L.R. Price Publications is using crowd funding to publish a book by a former prisoner. Michael Irwin, from Northern Ireland was sentenced to eleven years in prison for drug offences. Determined to turn his life around, Irwin used his time inside to study criminology and psychological studies and earned an honours degree. He also kept a prison diary and it is this book that london publishing house L.R. Price Publications have turned to crowd funder in order to publish. It was Matt Vidler, the publishing house's senior editor, who first received the book. "When I read the book I was amazed. I felt like I'd lived every moment of Michael's sentence with him. This book provides an insight into the mundane yet chaotic life in a category A prison. As soon as I finished reading, I took the manuscript our managing editor and insisted that we publish it." It was Russell Spencer who had the final decision on whether to publish or not. Whilst he was impressed with the book, he was concerned whether they would be able to secure enough funding to make publication of the book a reality. The firms managing editor says "Michael is a fantastic author and has written a great book. With a really important message. Matt convinved easily convinced me that it was a book we should publish, but the problem was funding - that's why we turned to crowd funding to seek financing for the book. "The book is titled My Life Began At Forty - A Book of Hope. It show's that is never too late turn your life around or to follow your dreams. Michael was forty when he began writing and look where it has got him." 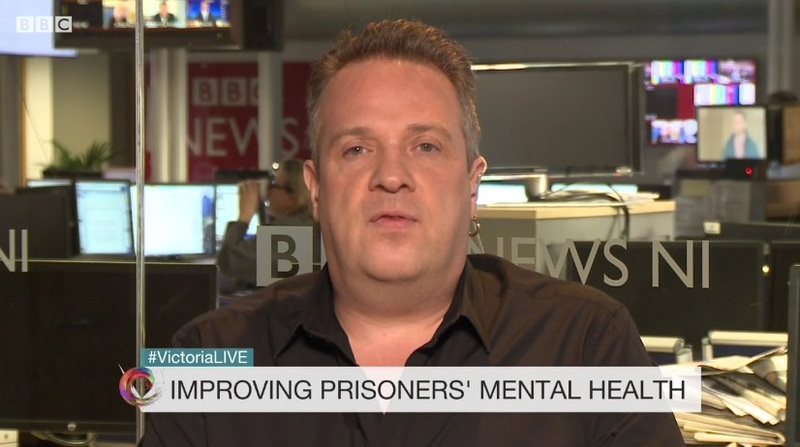 Since being released from prison Michael has completed a MSc with Queens University, Belfast and is regularly invited to comment on suicide and mental health issues by the BBC on Radio and National Television. The London based publishing house is seeking to raise £2,100 to finish the book. all donors are rewarded with contributions with rewards, which range from a thank you email for only £1 or a VIP invite to the book's launch.